I can't claim to have met John (being a Brit), but I have got all the movies and books, and have been inspired by the general 'Baltimore look' to create a drag persona known as 'Lurleen' (as a lesbian its quite something to suddenly discover your 'inner drag queen'! 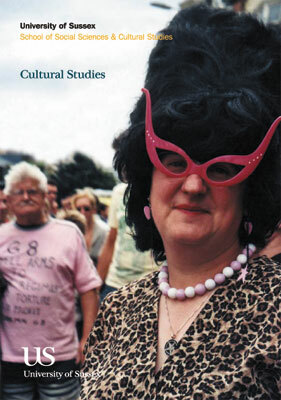 ), and I've ended up as the poster girl for our Cultural Studies programme here at the University of Sussex, as you can see from the photo! I wore the outfit to Halloween in San Francisco in 2004, and was delighted when a passerby told me I reminded her of the women from "back home," which turned out to be Baltimore!